I joined the Campus at the start of September, with a responsibility for all communications across the Campus – no small feat but it’s a challenge that I’m thoroughly enjoying! I’ve been amazed at the amount of work that is taking place – from research projects using novel data sources and cutting-edge techniques, to partnerships, apprenticeships, training to build capability across ONS and far wider… the list goes on. 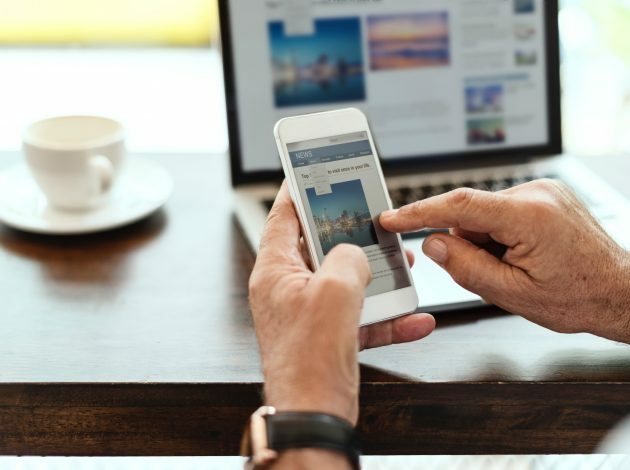 “The month that was” blog was doing a great job of sharing all of this, but when we evaluated its impact, we realised there was more we could be doing to reach the right people, with the right content at the right time. Over the last couple of months, we have been trialling mini newsletters to promote new content to users who have told us they have an interest in Data Science, and we’ve seen far greater engagement with our website content as a result. Our recent Optimus project report saw page views double in the first few days of publication as a direct result. Over the next few months, we will be conducting more extensive research into our impact, but it’s clear that our users are keen to hear more about the work that we are doing. From today, we are pleased to introduce the Data Science Campus monthly newsletter. It’ll include the latest on our research and capability programmes, opportunities to join the Campus, and any other relevant news from the world of ONS Data Science. Here’s what we’ve just sent out as the ONS Digital Content team published How Green Is Your Street based on our research – Mapping the urban forest at street level. 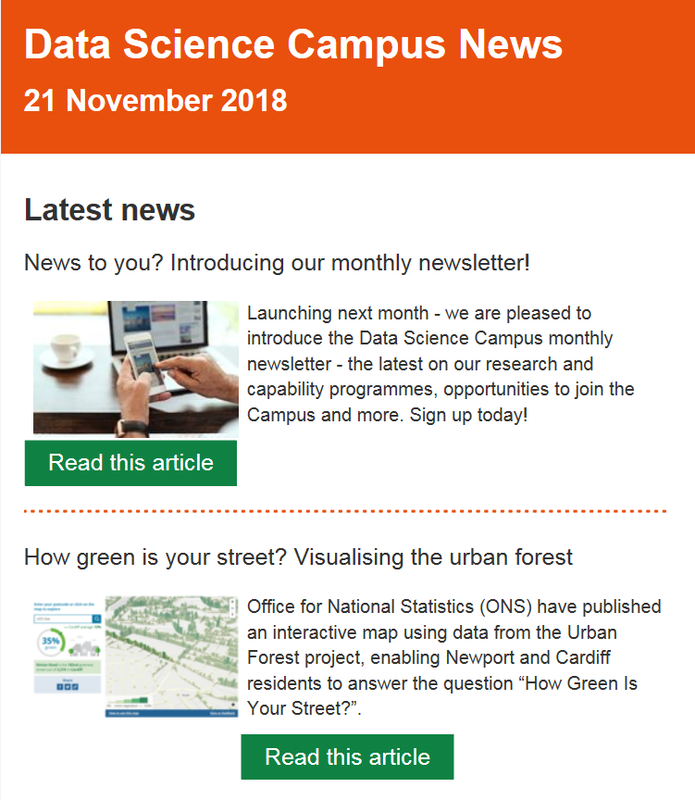 Sign up to our newsletter if you want the latest from the ONS Data Science Campus directly to your inbox every month. We’ll publish our first full newsletter in the first week of December… a great early Christmas present for the data science fanatic! Finally, we want to say a big thank you to the Design team at ONS have been working with us to get this up and running. We hope you enjoy it and we’d like to know what you think!